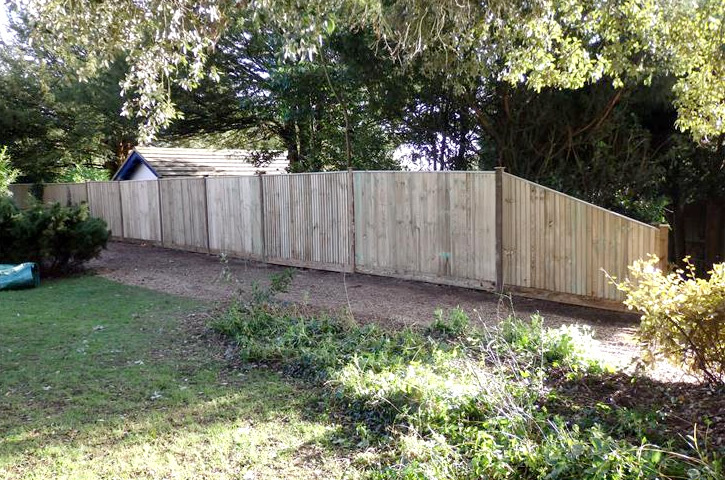 Fence constuction job we finished for a happy client in Worthing, West Sussex. This is a capped close board fence running the length of the garden. Notice the capping of the posts and the top of the fence.